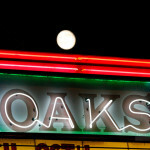 The Oaks Theater is at the top of Solano … and I’d love to help bring it back to life! Have you always wanted to live in Berkeley’s Thousand Oaks Neighborhood? We just listed a brown-shingled home!